Yay! It's time for another Creative Inspiration Design Team project! Close up of the BLING! I cut my flower out of purple paper from the Paisley Cricut Cartrdige. I painted it with Royal Purple CI Paint. It matched my paper perfectly and gave it the most amazing spakle. I used a white prima flower on top. I painted it with a mixture of Fairy Dust and Royal Purple paint. I added a jewel to the center. Paper is from DCWV. 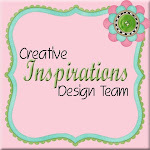 Make sure you head on over to the Creative Insirpiration Blog and check out what the other DT girls have done!! 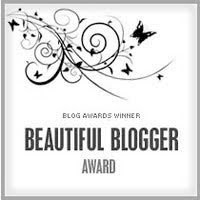 You will be blown away with the BLING! You definitely need to add these paints to your MUST have list! Yay! It's my first post for the Creative Inspiration Design Team. 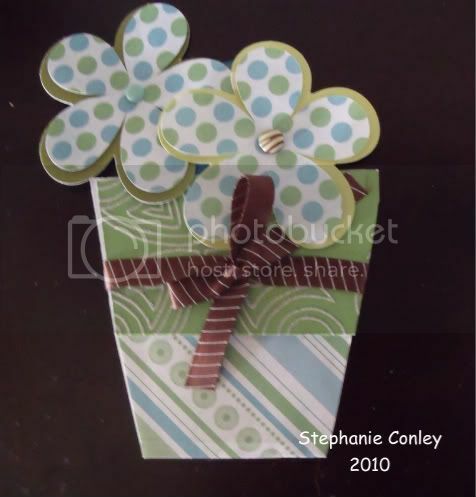 I previously showed you my Think Spring card that I made using creative inspirations paints -- if you missed it, check it out HERE! Here's my latest project using CI Paints! BTW --they are sooo incredible! They are soo easy to use and have such AMAZING color!! You definitely have to add these to your must have list! 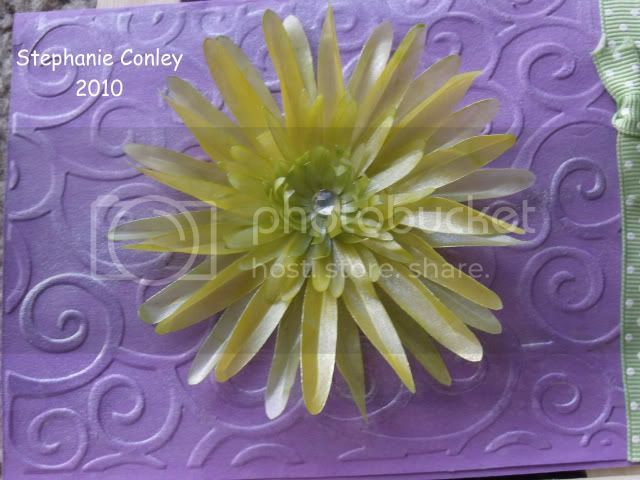 I cut my flower out of velum on my cricut. There are 8 layers! They I painted it with Sunshine and Green Olive CI Paints. Isn't it amazing how well the paints colored the velum?!! 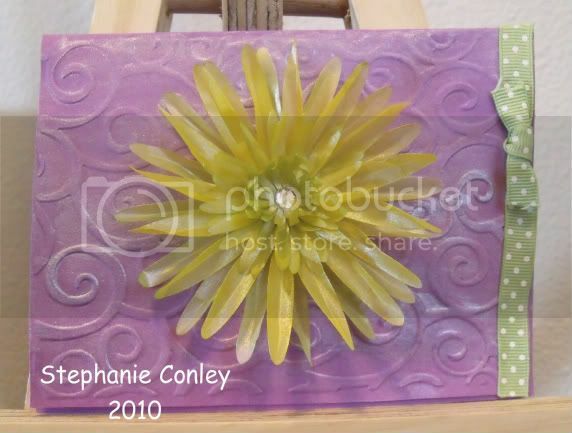 I embossed the card with Cuttlebugs D'Vine Swirls embossing folder and then painted Lavender on the embossing. I dipped my paintbrush into water and then into the paint to get a more subtle effect. 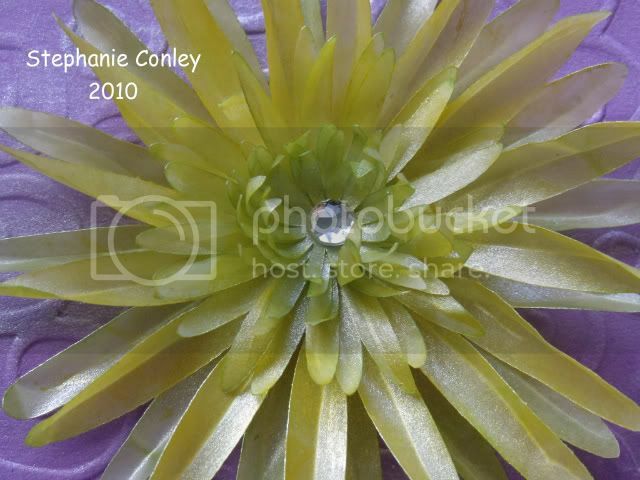 Close up of flower -- Can you see all that SHIMMER?!!! 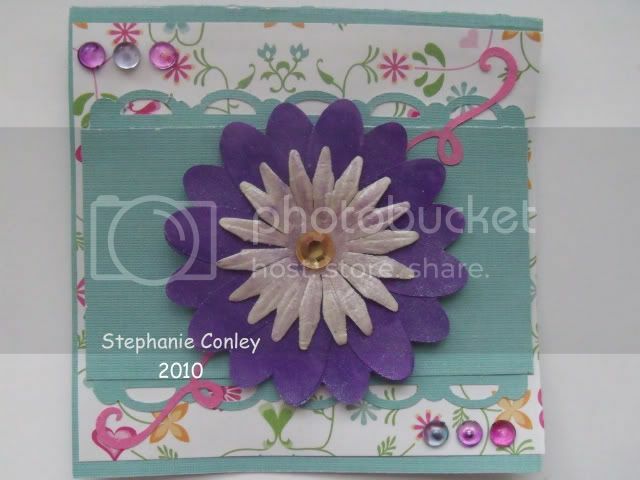 Close up of card -- the background shimmers too! The paper is from DCWV. 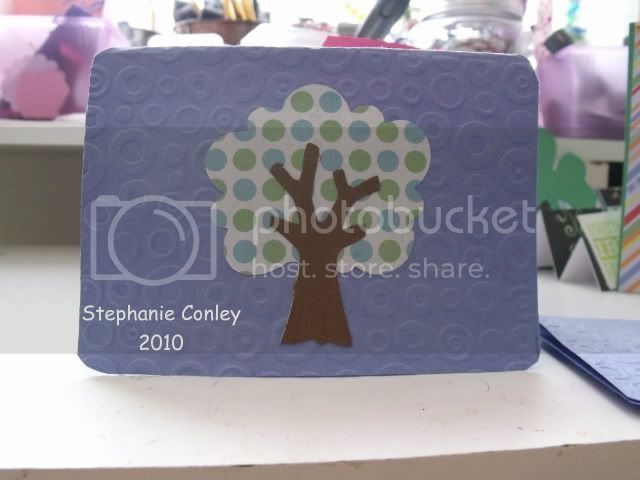 I used Life is a Beach to cut out all the images, stickles and I embossed the trees with swiss dots using my rolling pin method. Bunny is from A Child's Year. It was actually a tag, but I hid the contours and made him super big in DS. YAY for DS! I embossed him with swiss dots using my rolling pin method (no cuttlebug ) Then used a SU sweet treat cup to hold the jelly beans! This was SOOO much fun to do. I've seen tons of posts on the cricut message board and other websites, so I decided to try one for myself. They are sooo easy and sooo fun! 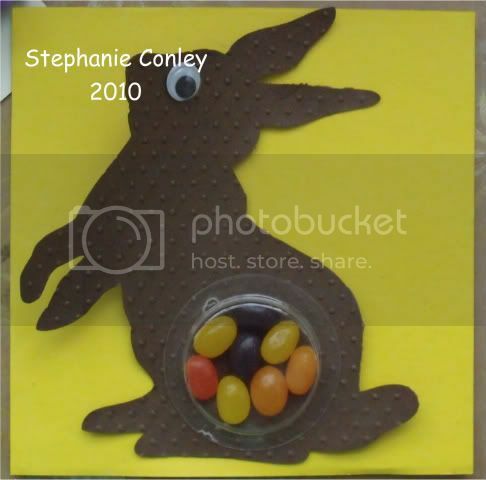 I made this for my BFF for her birthday and filled it with office goodies -- pictured below. 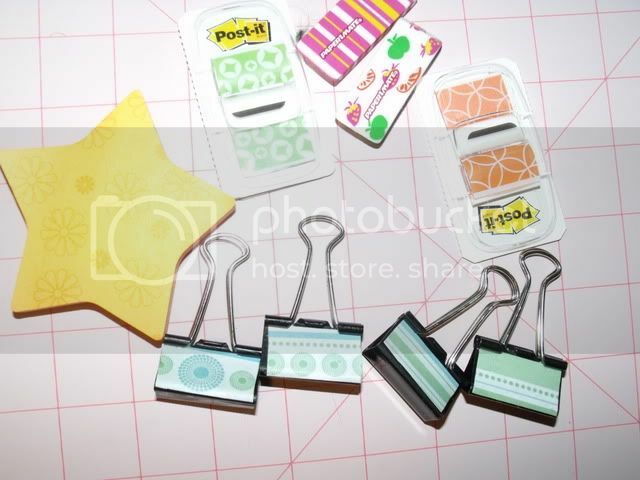 I also made the binder clips that are pictured. Want to know how to make your own?? Take a can with a pop top lid -- I used a pear can -- and use a safety can open to open the bottom. 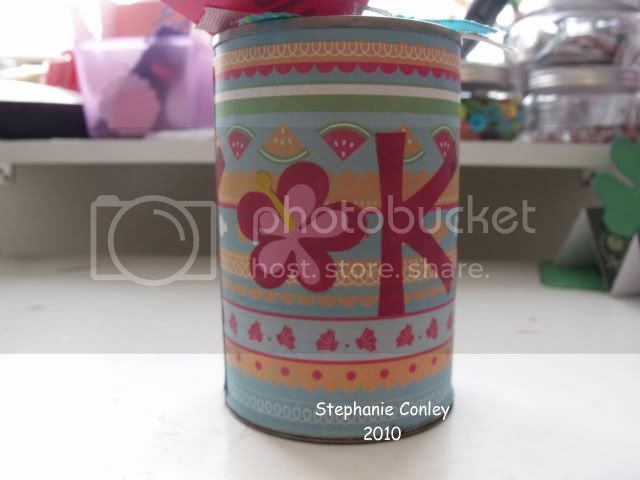 Cut paper to fit around the outside of the can. Glue or tape. 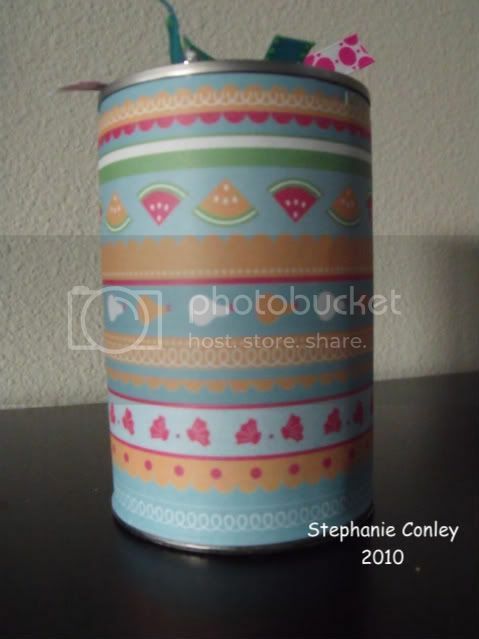 Decorate the outside of the can. I used vinyl to put her name on it. You can use rhinestones, stickers, ribbon, the possibilities are ENDLESS!! Decorate the lid. I traced a piece of paper to fit on the lid, leaving room for the tab. 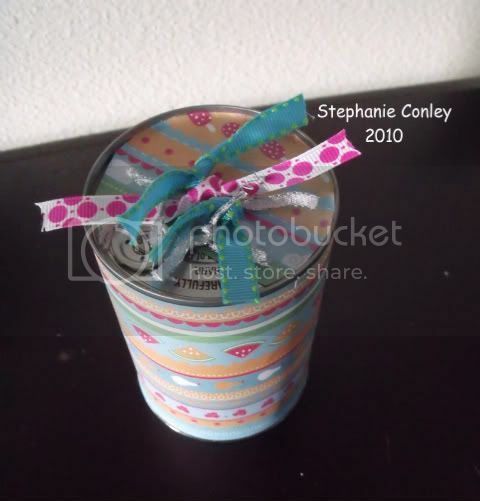 Then I decorated with ribbon and a tag that says "pull"
Fill the inside with goodies. Use superglue (be careful not to glue your fingers like I did) and adhere the bottom. Allow to try. For the binder clips -- I just cut soem paper to size of the clip, then modge podged on. EASY!!! 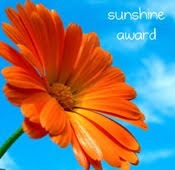 I do a monthly swap with a few other stay at home moms. We have to make something that is useable but the other person and send the same thing to each person. Here's what I came up with for the first month. The inside is stamped with "Happy Spring". 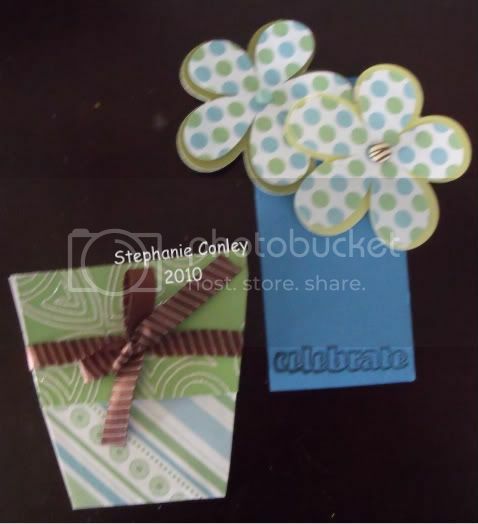 Card is embossed with Cuttlebug embossing folder Spots & Dots. Tree is from Every Day Paper Dolls. Here's my take on it!